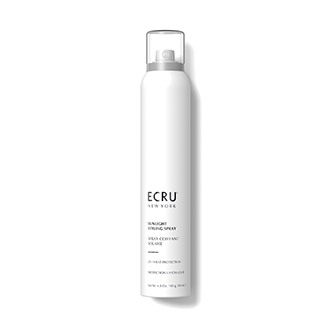 Blow dry the entire shape with a medium size, natural bristle round brush, using Volumizing Silk Mist. Following the head shape at a ½” width, section the hair curling it with a candle stick technique using a 1” curling iron. 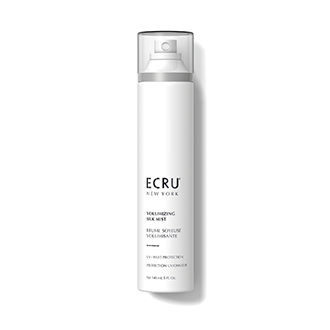 Spray each section with Sunlight Styling Spray & then using curl clips to secure every section after curling it. After cooling, take the clips out starting in the front & comb them out to start with a wide toothcomb. Brush it through in a shape that fits your client’s cheekbones & jawline. 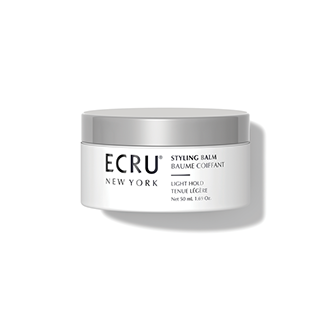 Finish with Styling Balm tousled through the hair.